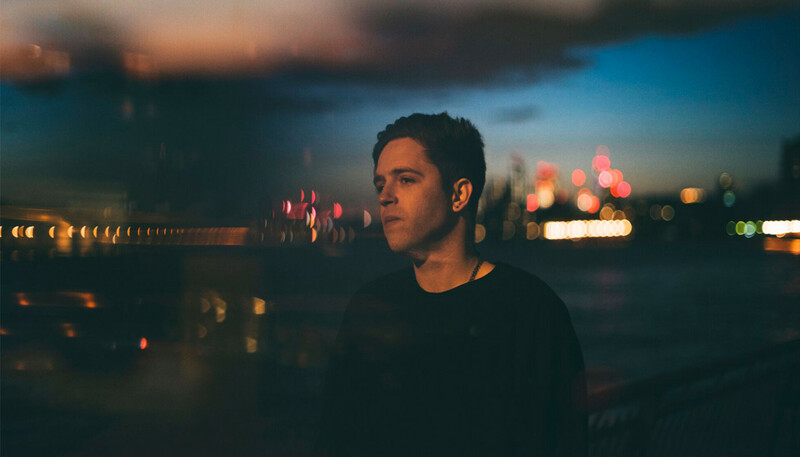 Five years on from his debut, Benjamin Francis Leftwich returns with a second studio album inspired by personal tragedy, emotional honesty and hip hop. Here, the British singer-songwriter explains how he pulled himself out of “self-destruct mode” to create After The Rain. It’s been five years since your debut. Can you tell us about your decision to take time out? So, I toured the first album from 2010 to 2013, and then my dad got really ill so I cancelled everything and went back and spent time with him, which I’m really happy I did. Then we lost him and I just went into self-destruct mode. I didn’t really want to be out touring or releasing music or in the public eye at all. I was still very creative during that time, but I just needed some time for myself. I make music for spiritual reasons; I make it because I have to. And I don’t think it would have been right for me to rush out something that I wasn’t totally focused on and happy with musically or mentally. Also, I think creating and singing about how you’re feeling really helps spiritually and is very therapeutic. But also when you’re a perfectionist and really care about the music that you’re making – and potentially sharing with the world – then creativity can be your best your best friend one day and your worst enemy the next. But I’m always connected with music. Debut albums are usually the culmination of all your life experiences, whereas second albums are a clean state in comparison. Was that the case for you? It was, yeah. I think it’s got ties, sonically and in some of the messages, to the first album. But another thing about taking two years out is it meant I could live real life, even though it was with sadness. I definitely didn’t want to make a record that was just about touring and being on planes or buses. I don’t think anybody’s really interested in that; I’m certainly not. Considering the context in which it was written, After The Rain must have been more difficult to write than your debut? Do you know what, not really. It was more emotional, just because I was dealing with things that were intense, and those big, emotional life experiences aren’t always the easiest to write honestly about. Also, your idea of honesty changes as you grow up. When I was 19, making my first album, I thought whatever I wrote was honest, but as you grow up you learn to think more about what honesty means and take it a bit deeper. Sometimes your first instinct isn’t always the correct one or even the truest one. ‘Groves’, in particular, is extremely moving. Totally. That song is about asking someone that you love not to leave, and in my case it was my dad. The title ‘Groves’ is a reference to a part of York that the hospital looks over, and beyond the groves are the mountains. It’s a part of York where I spent a lot of time, and it’s definitely one of the songs I’m proudest of in the album. I wrote it in York, at my dad’s house. The fact you’re comfortable sharing such personal experiences in your music suggests you really trust your fan. Is that fair? Totally. Totally. That’s a really beautiful way of putting it. And I trust my own instincts too. But also I feel a sense of responsibility as a songwriter to be honest and not shy away from anything I need to address. What do you hope that listeners take from this album? I’d like them to be moved by it and have the songs affect either their way of creating or their way of thinking. But mostly I’d like people to find something in there that they consider useful in any emotional respect. Yeah, and yet I think some of those uplifting moments are a reaction to extreme sadness. A song like ‘Some Other Arms’ is about telling someone that you love romantically that you wish them no harm in some other arms, which is one of the saddest things you can ever admit to yourself. 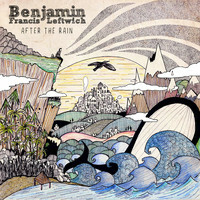 It’s like this album’s version of ‘Shine’, from my first album. But overall [After The Rain] is definitely more upbeat and there are more moments of hope mixed with the moments of sadness. For me, ‘Tilikum’ is a really sad song, but again in the verse it opens up with hope for the future. I always wanted this album to have lots of different colours on it – in terms of the production, vocals and instruments – because the way I’ve experienced life in the past two and a half years is very colourful. (Laughs) From bright yellows and pinks to bottom of the sea, deep blue. One of my favourite songs on there is ‘Kicking Roses’ which is much more electronic and modern-sounding. It’s one of the most self-reflective songs I’ve ever written too. When I’m singing it, I feel like I’m standing in front of a mirror. It’s about how we can all end up in that space where you self-destruct and are kicking out at people around you. As you grow up you realise it’s not always the smartest thing to do, but that’s obviously easier said than done. It’s us, stupid men having too much pride. And also the fact that men aren’t encouraged to explore feelings of vulnerability. As you mentioned, there are more adventurous arrangements on this album. What inspired that development? I think working with Charlie [Andrew] was a blessing. He’s just an amazing producer and I love so many of the records he’s worked on – Alt-J, Marika, Sivu – and also my tastes in music have widened greatly so I wanted to bring in all those influences. I love when a moment in a song can be accentuated with sonic exploring. And also I didn’t want to do the same thing again, you know? I’m inspired by a lot of different music. When I was growing up I was pretty much only listening to singer-songwriters in a similar genre to me, and now I almost exclusively listen to hip hop and rap. And I’m really into dancehall at the moment. I listen to a lot of traditional stuff when I’m going to sleep too, a lot of classical music. Are there any other artists that people might be surprised to hear you’re into? I’m a big fan of a lot of pretty down-the-line, mainstream hip hop but a lot of hard hip hop as well. I often listen to Mobb Deep when I’m going to sleep, which sounds weird but I can sleep to pretty aggressive rap. The Lauryn Hill album is one of my favourites of all time, and I’ve loved everything that Drake’s done since day one. But I also still love Fionn Regan and José González and PJ Harvey and Bat For Lashes and Goldfrapp and Bruce Springsteen. What I love in music is energy. With a lot of the hip hop I listen to, I can’t relate to a lot of the stories, and I probably wouldn’t choose a lot of the language used, but what I appreciate is the energy; the unfiltered consciousness of a creative woman or man doing their thing and connecting with lots of people. But of course, in the context of my own artistry and putting out records with Dirty Hit as Benjamin Francis Leftwich, I’ve got my own thing that I stick to. I’ve switched it up on the first two albums but it’s definitely all tied together by my vocal and guitar-playing. You mentioned that you worked with Charlie Andrew. What did he bring to the recordings? He really helped me believe in myself again, and helped me believe in my vocal and guitar playing, which has always been the source of what I do. He just encouraged honesty in my vocal performances and guitar-playing, and his engineer was great as well, and his wife Kirsty came and wrote all the strings on my album, and played them with her friend Rachel. It was a really beautiful time. It’s interesting that you say he helped you to believe in yourself again. Had you lost confidence? I’d not lost confidence in myself as a songwriter or a musician, but as an artist, creating something I wanted to share with the world... There were times when I thought maybe I would just leave it at Last Smoke... And now, at times, I think maybe I’ll leave it at After The Rain. The way I feel is that if I have a body of work I’m proud of in six months time, I’ll release my third album, but if that’s in 10 years time I’ll release my third album then. I just do this for pure love, and I’m grateful for all the amazing, beautiful people around the world who’ve connected with my music and had it played at their weddings or funerals or at beautiful important moments in their life. That depth of reaction means more to me than sales. Those deep, spiritual compliments are what I’m most moved by.